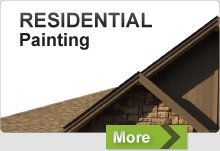 From start to finish, we can handle your interior home painting needs. Our Abbotsford residential painting company, Equity Painters, will repaint your home, fix, and repair drywall and even install lights and fixtures. We have the experience and know-how to transform your home into the living space you have always wanted. Considering how much time you, your family, and your guests spend in your home, a place where you relax, unwind and entertain, it is a place that you want to feel proud of. Creating an environment that you will enjoy spending time in requires that extra special touch. A fresh coat of paint can completely change the feel of a room into a space that you will enjoy for years. Your outdated living space will feel brand new in just a short amount of time and without the huge renovation repairs. For those that are looking to sell your homes, a fresh coat of paint will help show prospective buyers that you care about and take pride in your home and it will respectfully be noticed. If you are considering painting the interior of your home, there are a number of important factors that you should consider. 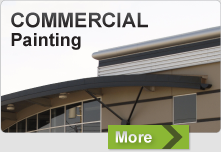 Researching and understanding the various types of paint is the first place to start. What is the best quality of paint to use for the space and what equipment is needed for the job? Is the area that you want to renovate ready for a new coat of paint, or is it in need of any repairs? The experienced and knowledgeable staff at Equity Painters can take all the worries and work away from you. With access to top of the line tools, painting equipment, and products, we have the skills and ability to efficiently and effectively step in and do the job for you. All you need to do is choose the colour scheme that best suits your desires and leave the hard work up to us.